'Dwarf Blue Curled', from the 1800s, is extremely hardy and will overwinter in all but the coldest climates. Like most greens, it grows best in cool weather but will also withstand some heat. Leaves are rich in vitamins and minerals and low in calories. 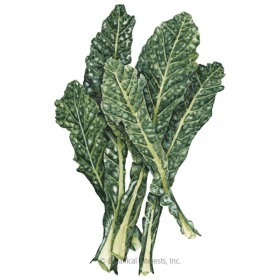 The flavor of the leaves is sweetened after a light frost; delicious in winter soups! This packet sows up to 288 feet. This packet sows up to 96 feet. 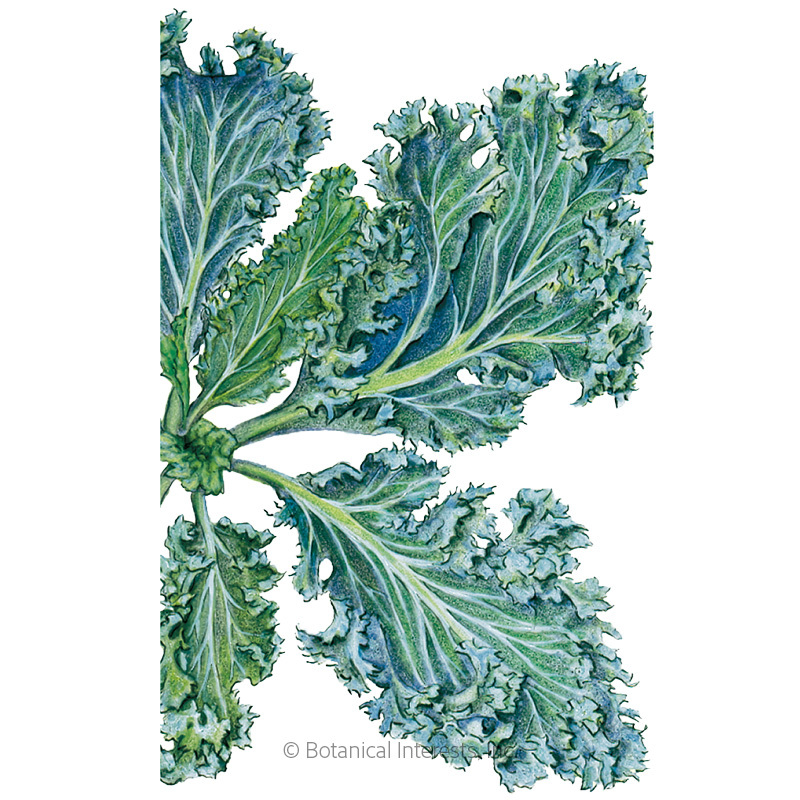 Hardiness: Biennial grown as an annual, kale is very cold hardy and may overwinter in milder climates. 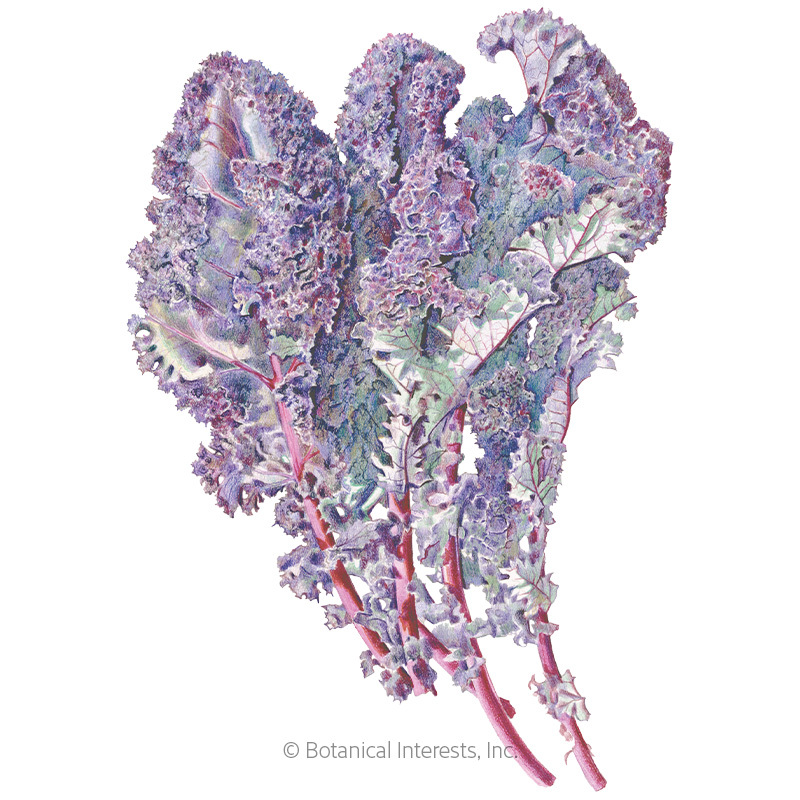 Variety Information: Clumps of bluish-green leaves with curly, frilly edges off a central stem. When to Sow Outside: 1 to 2 weeks before your average last frost date, when soil temperature is above 45°F for spring/summer crop; 10 to 12 weeks before your average first fall frost date for fall crop; and in mild climates, fall for very early spring crop. When to Start Inside: RECOMMENDED: 4 to 6 weeks before your average last frost date. 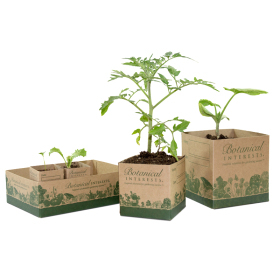 For a fall crop, start 12 to 14 weeks before your average first fall frost date, transplanting after 4 to 6 weeks. Ideal soil temperature for germination is 65°–85°F. 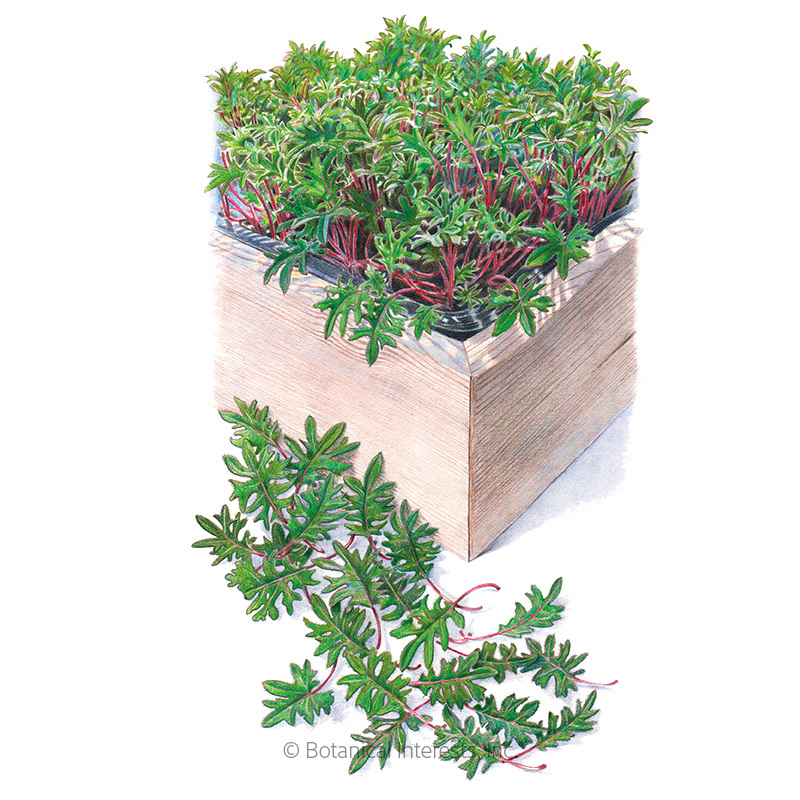 Seed Spacing: A group of 3 seeds every 18"
Thinning: When 1" tall, thin to 1 every 18"
Harvesting: Outer leaves can be harvested as baby greens when 2"–3" tall, any time when full-sized beginning with the lowest, or the whole plant can be cut off at ground level at maturity. For fast regrowth, harvest up to only ⅓ of the plant at a time.